JASAL is a family owned business with more than 100 years of experience in cultivating, processing and exporting one of the finest coffees in the country. 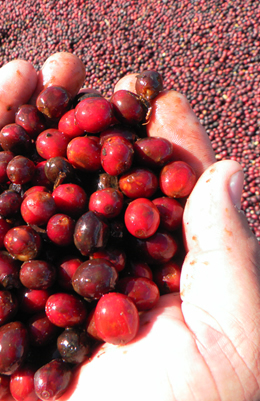 Our main activities are on the best region of El Salvador for coffee cultivation. The Apaneca-Ilamatepec region is known for its fantastic soils, micro-climates and the perfect environment for coffee. Our family roots, Salaverria and Borja, have infused our group with tradition, experience, passion and a unique culture for what we do. Our commitment allows us to offer unique coffees around the world. Our organization is aware that success comes from the establishment of direct long-term relationship with our clients witch is accomplished with respect, loyalty and consistency on quality. To facilitate the sustainable development of El Salvador coffee business, within the participation of our group and producer using sustainable agricultural practices, innovation in technology in order to optimize the quality of our coffees. Be a modern,transparent and effective organization with social and environmental responsabilities, known international wise for the quality of our products. •Make the coffee practices of our clients and group competitive and sustainable. •Establish commercial, personalized long term relationships with our buyers by providing respect, loyalty and consistency on the quality of our products. •Offer constant commercial innovation in specialty coffees, in order to maintain our brands well positioned in the market.